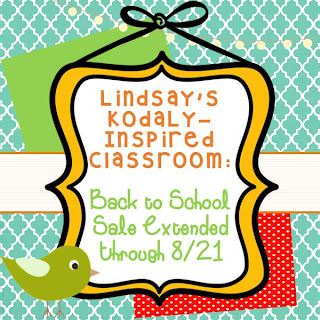 Kodaly Inspired Classroom: Back to School Sale Extended! 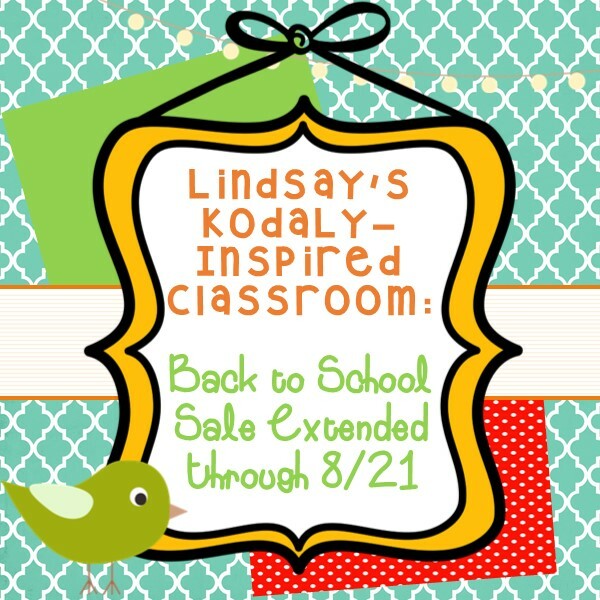 In case you missed out on the Teachers Pay Teachers site wide sale, I have extended my sale through 8/21! Check back for more fun singing games later this week! Hi! I tried to use your code today and it didn't work. Is the code More15? Or am I entering it wrong?